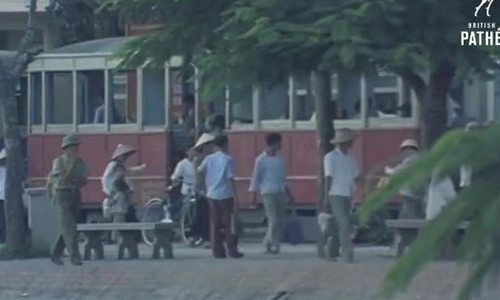 Hungarian photographer Rév Miklós tells a vivid story of Hanoi through the photos he took during a trip in 1959. 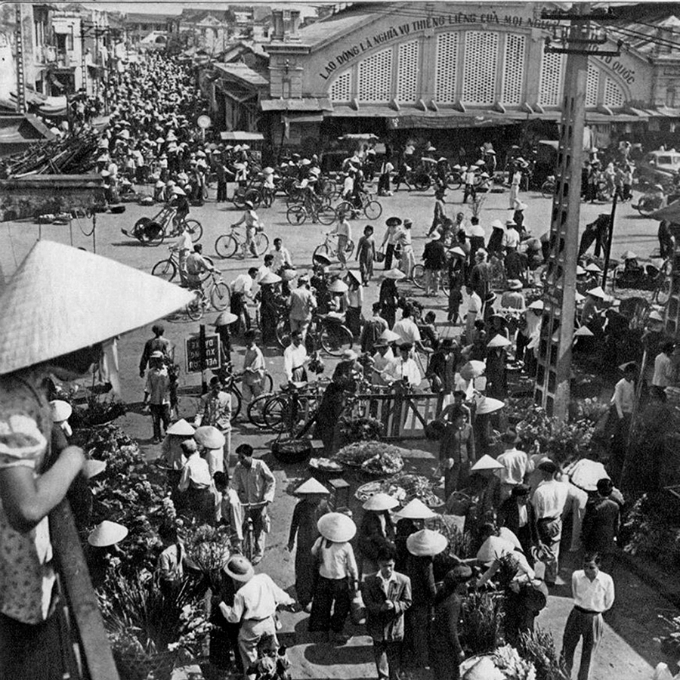 Dong Xuan Market, still one of the busiest markets in Hanoi today, in 1959. Rév Miklós was born in 1906 in Sátoraljaújhely and died in 1998 in Budapest. 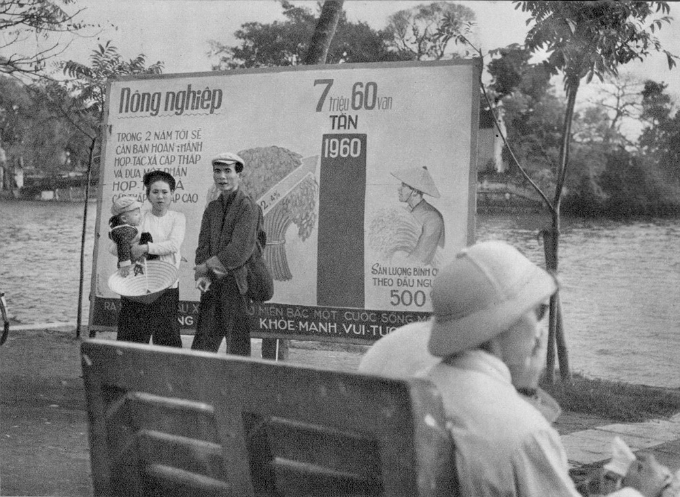 When he visited Hanoi in 1959, Miklós was president of the Association of Hungarian Photographers. 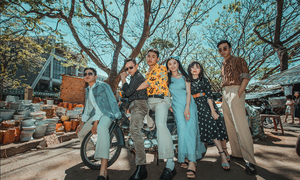 The corner of Trang Tien and Hang Bai near Hanoi’s iconic Hoan Kiem (Sword) Lake. 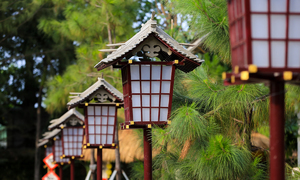 A panel encouraging agricultural development stands by Hoan Kiem Lake. 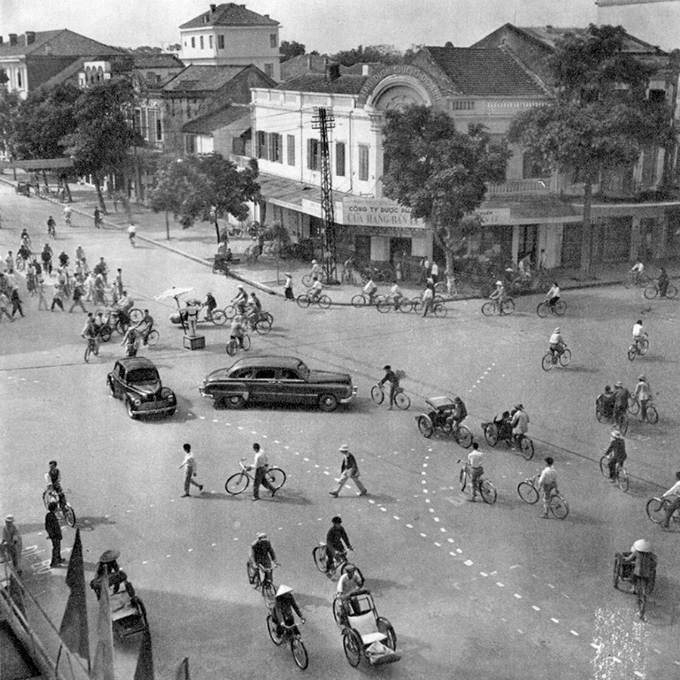 Hang Buom Street in Hoan Kiem District. 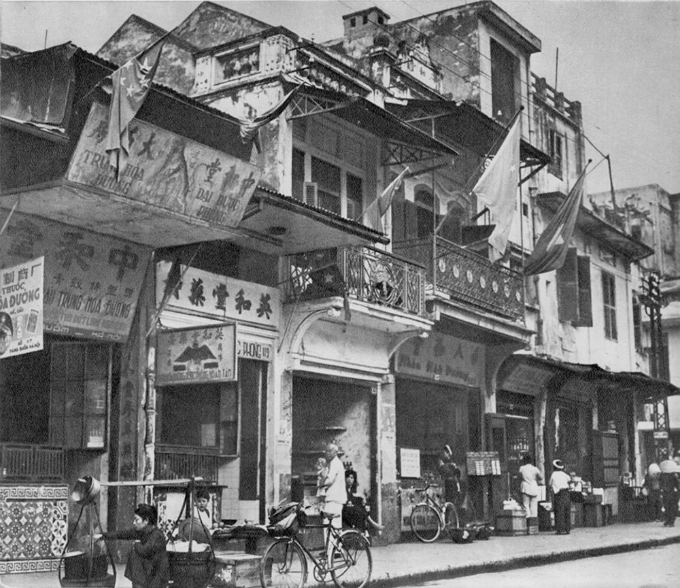 It used to be home to the Chinese community in Hanoi. 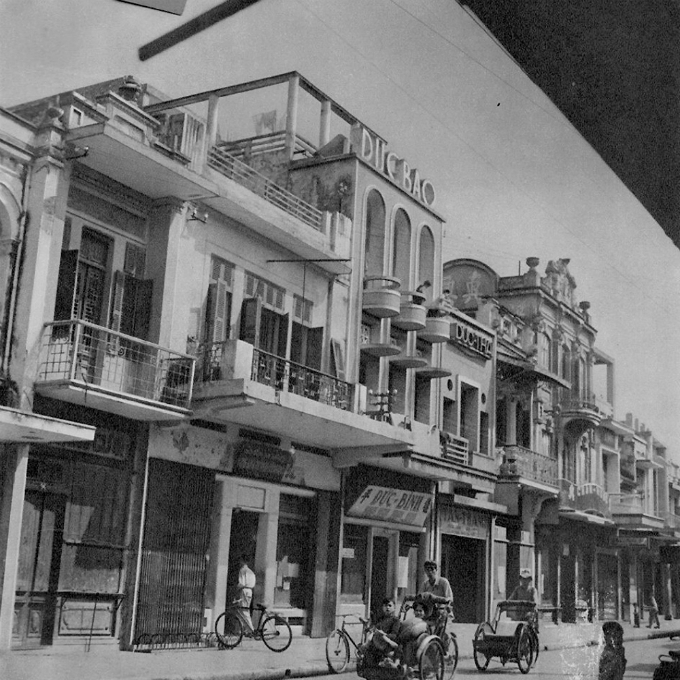 Hang Bac Street is still famous for its silver jewelry today. 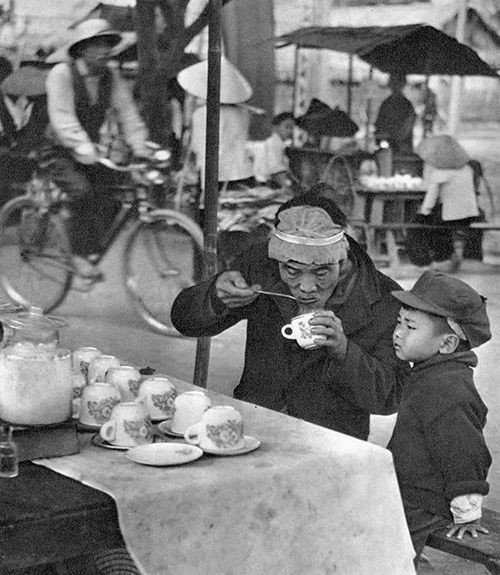 Grandpa and grandson have a drink in the Old Quarter, a part of Hanoi that has been in existence since imperial times as early as the 16th century. 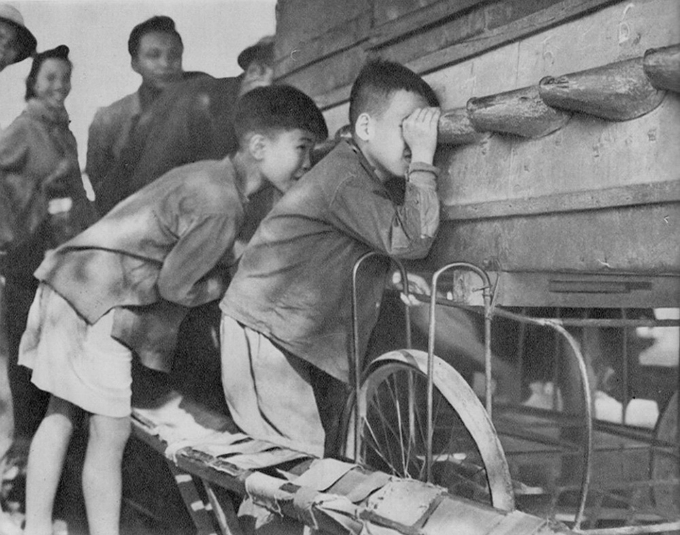 Two boys watch a movie at a mobile cinema on the street. 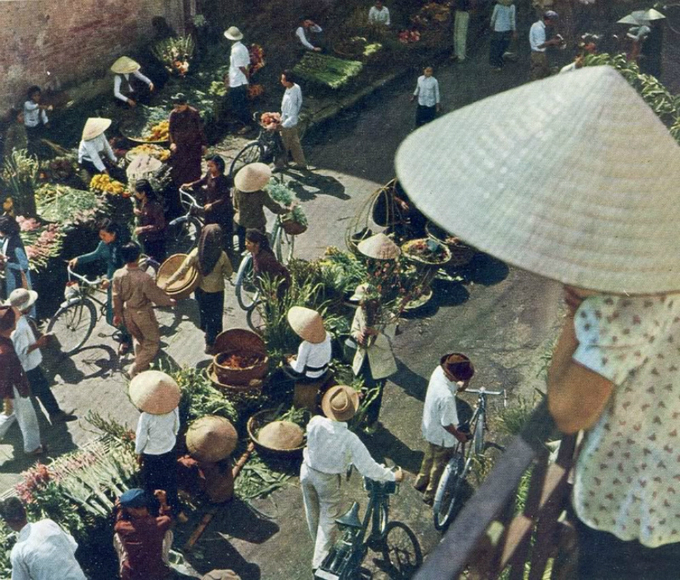 A flower market on Hang Khoai Street. 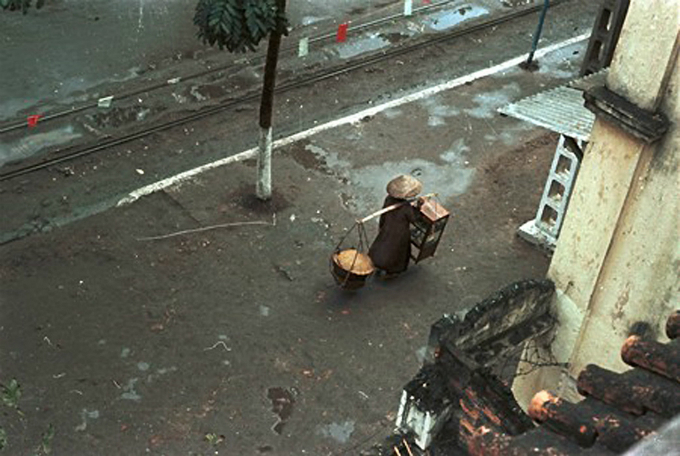 A street vendor in the Old Quarter. 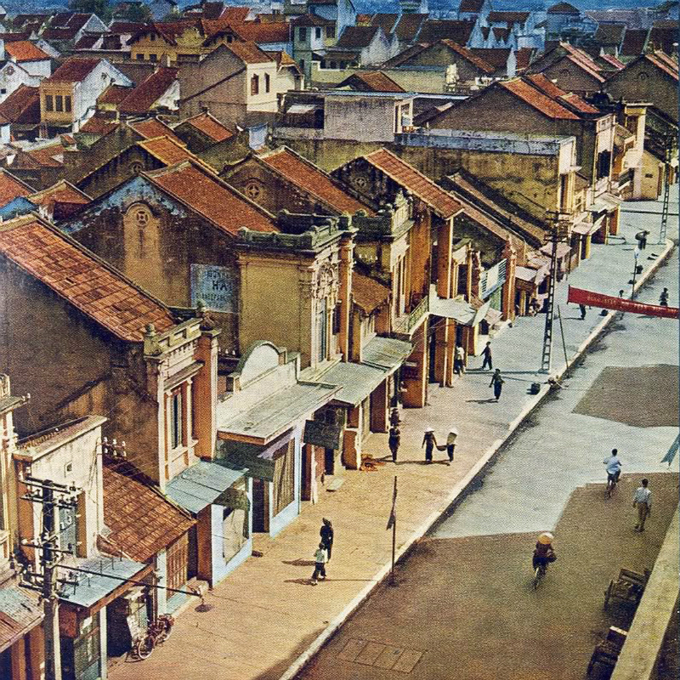 Many parts of the Old Quarter still look the same today. 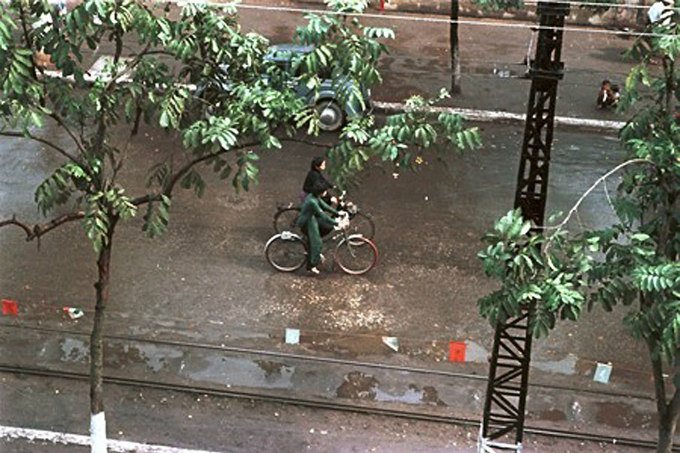 Two women ride bicycles wearing ao dai, the traditional Vietnamese long dress. 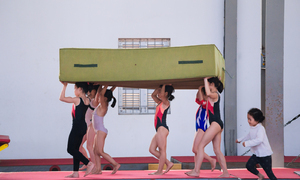 These photos appear in a photo book by Rév Miklós that was published in 1960 in Budapest.